The trees are growing bare, but there is still some color hanging in there, giving us at least a taste of fall before the winds of Hurricane Sandy make it up here in a few days to strip the branches clean. 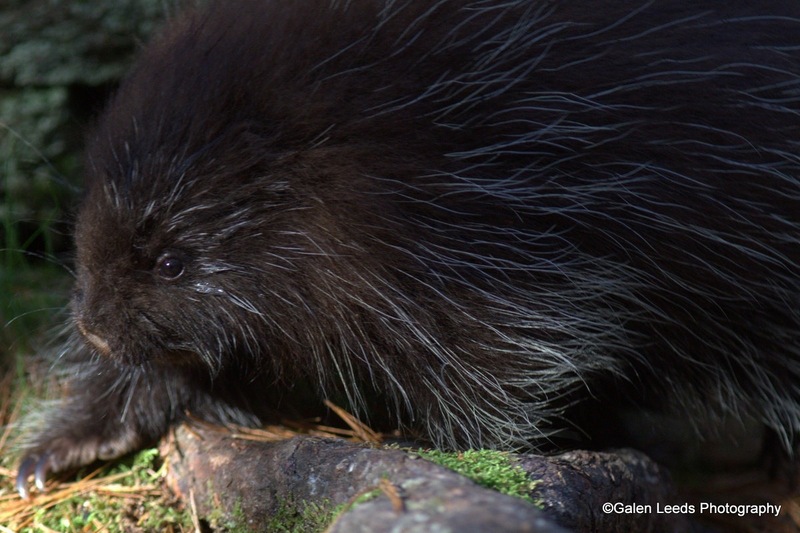 Many of you may not believe this, but we don’t have porcupines out where I live and… this is actually my first porcupine. Score! Super exciting for me to come across this native critter in its natural habitat. It’s always exciting, encountering an animal for the first time, learning who and what it is, how it moves, and funnest of all, learning how best to photograph it to share with others. I realize that this is a common animal to many of you, but then again while zebras may seem common to some Africans, most of us would be very excited to photograph them in the wild. Each of us have fun getting excited by different creatures… And by photographing the common we get excellent practice for photographing anything uncommon that comes our way. 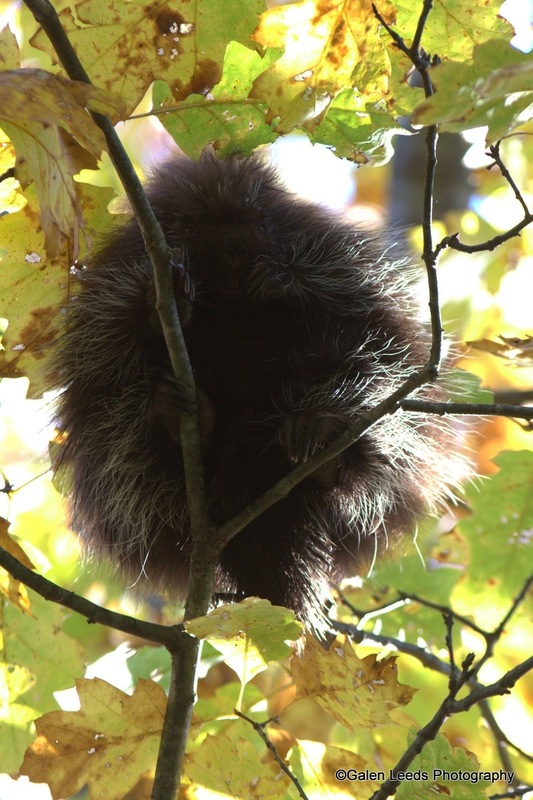 For me, this young porcupine was a delight. Ambling slowly along, exploring the world, and looking for just the right tree. It chose a medium size maple that still had a fair number of leaves, and proceeded to climb up and out onto the thinner branches where I am guessing the leaves were the most tender. The angle got a little tricky for photography, with the bright sky above and the dark shadows, but we still had a delightful time watching this little guy pluck leaves off and munch away at them. Unfortunately the leaves it was eating blocked its face too much to show the action of feeding. We had other fun sightings throughout the day, things that may have bored the locals, but were a delight to us… Even the squirrels were different from the ones we know. Smaller and reddish. Luckily the pine cones were also smaller. Tomorrow we head up to Cadillac Mountain, where we will catch the very first rays of light to hit the entire United States. 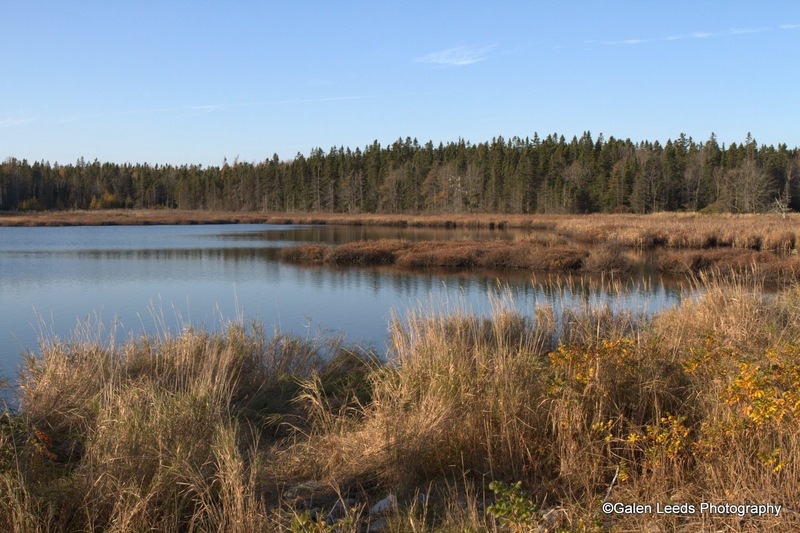 (Tallest mountain on the East Coast, sticks up just high enough to find the sun before anywhere else during the winter seasons.) Wish us luck on not having too much cloud cover and being above the fog. 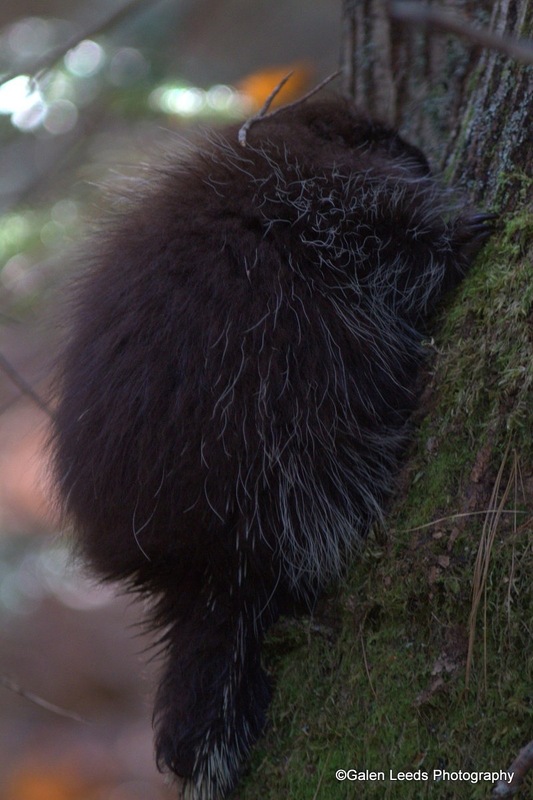 This entry was posted in My favorite Parks, nature photography, Photo Essay, photography, porcupine, wildlife photography and tagged Acadia national park, Maine, nature, photography, Porcupine, squirrel, wildlife. Bookmark the permalink. I enjoyed your porcupine pictures. I haven’t seen one, in person, either. Nice pictures! You’re so right about the appeal factor of different animals. 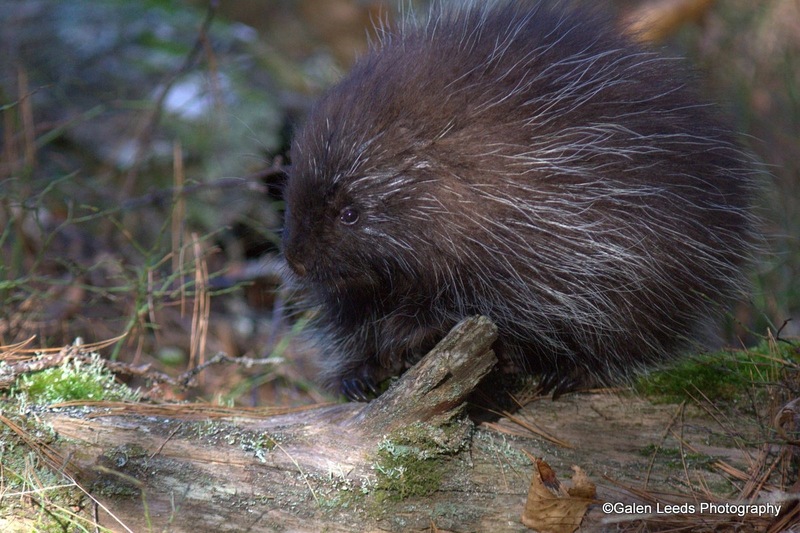 I’ve never seen a Porcupine in the wild either. What an exciting find! Wonderful photos. Nice… love the prickly critter. What a cute little guy or girl. The squirrel, well we have every color and size of them. I think some are illegal aliens from Canada. You’ve got to listen for their accents. 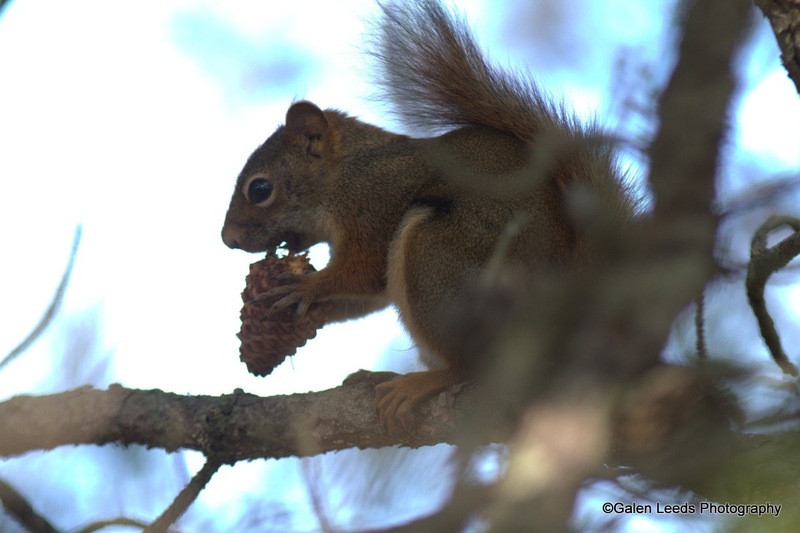 If the squirrel has a bit of the Scottish brogue, then it’s likely from Nova Scotia. If it tends a little more towards chattering with a bit of a French edge, it might be from Quebec. I will try getting some French nut cuisine and see if they prefer it over plain Georgia peanuts. But I did hear a few ayes. There is no “correct” shot, and we have to do the best we can with the available light. I like how it turned out also. Not having porcupines around where I love, I didn’t even realize they had an iffy rep, but even if I did, I would have been excited to photograph this one. Best way to figure out where a squirrel is from is to listen for an accent.